A new documentary film looks into Madonna’s early days in New York and her first forays into the music industry. Directed by Guy Gudio, the documentary looks at Madonna’s time as a member of The Breakfast Club and her early days as a solo performer. The film uses dramatic recreations and interviews with Madonna’s former band members. 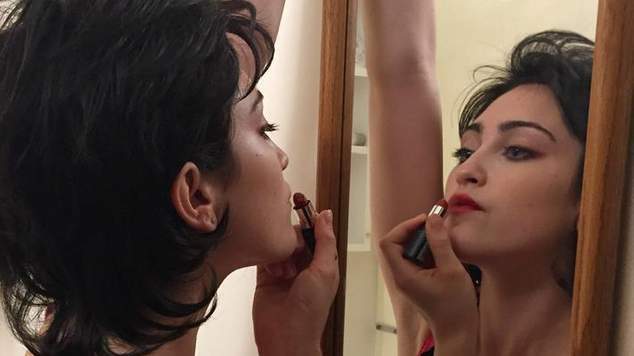 Actor Jamie Auld portrays Madonna and she’s a dead ringer for the Material Girl. Previously an un-produced drama script outlining Madonna’s early days has been highlighted as one of the best scripts doing the rounds in Hollywood. That script was picked up by Universal and drew scorn form the entertainer who argued only she could truthfully tell her story. The Breakfast Club formed in 1979 and went through many line-up changes. In the early 1980’s Madonna was the bands drummer and later took over singer lead vocals. She dated band member Dan Gilroy for a short period of time. Madonna eventually left the band and formed another group called Emmy and the Emmys. The Breakfast Club eventually found success without Madonna scoring a hit with Right on Track in 1987.